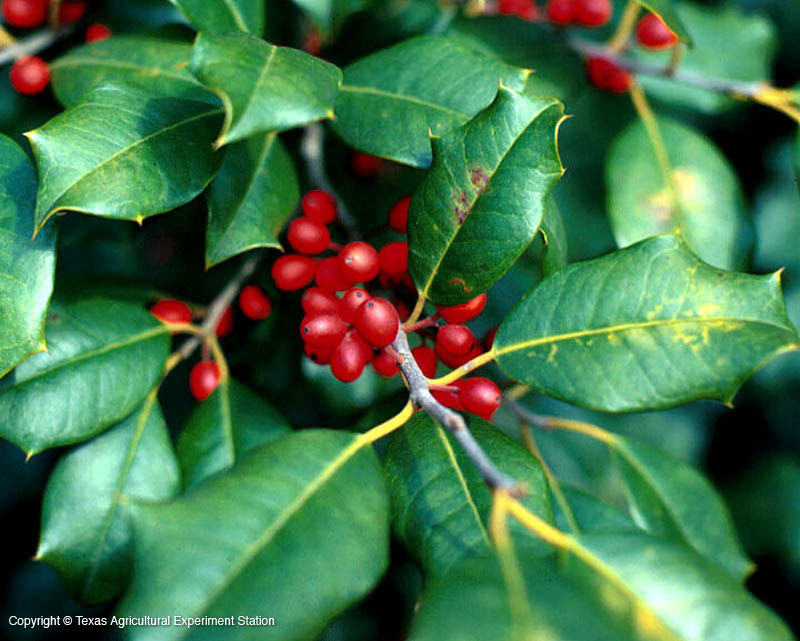 American holly grows in moist rich soils in east Texas but also does well on dry hillsides, as long as the soil is acidic. 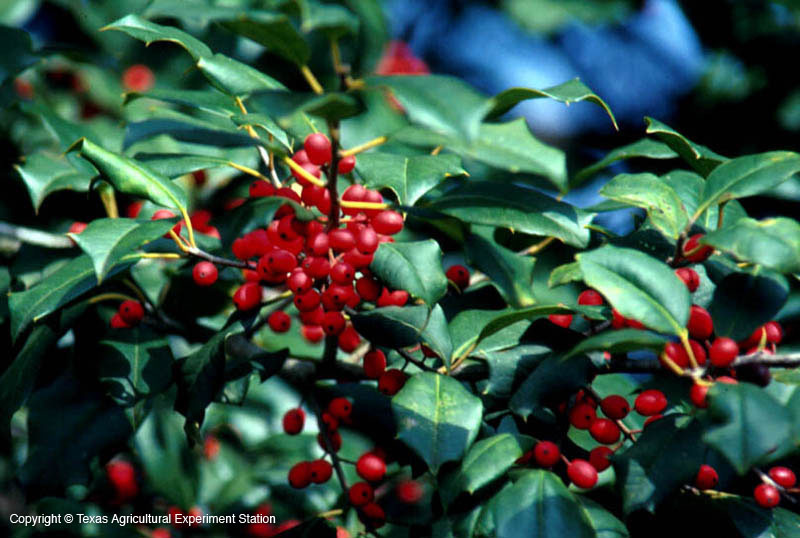 This is the largest of the evergreen Texas hollies, attaining 60 feet in optimum conditions. The females bear bright red berries if they are near a male for pollination. The form is pyramidal in youth, broadening to an oval with age. Height: 25 to 35 ft., rarely 60 ft.